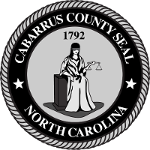 The Cabarrus County Department of Human Services has several programs to help the community cover the cost of their transportation. Medicaid will cover transportation to doctor appointments and pharmacy visits (for prescription pickups only). The Work First Family Assistance program will cover transportation to job searches and to work for a certain amount of time. There are many other programs available. Contact the main Human Services line for help at 704-920-1400. Adult and Aging Services will assist clients who are over 60 and not receiving Medicaid. The cost of transportation to doctor appointments and pharmacy visits (for prescription pickups only) is covered. We also offer the Lunch Plus Club program. If you think you may qualify for transportation through Adult and Aging Services, call 704-920-1400 and choose option 7 at the first menu and option 2 at the second menu. The Rural General Purpose (RGP) program is available for all individuals living in the rural areas of Cabarrus County who do not qualify for transportation through any of the above programs or who need transportation within Cabarrus County to other destinations not covered by their specific program. Contact the CCTS Demand Response Center at 704-920-2246 about eligibility through the RGP.